Why take a boating safety class; what can I learn in a classroom that I can’t learn while boating? The answer is simple: Knowledge. The more knowledge you have, the more enjoyment you’ll get out of your boat. Classes are taught by experienced boaters; people with years of knowledge and experience under various conditions, eager to share with others. All boaters can benefit from a boating safety class. Entry-level boaters, with little or no experience, share classes with seasoned boaters. Together, they learn new techniques and receive updates on the latest regulations and laws affecting boaters. Classes are conducted throughout the year with the most common being conducted by the United States Coast Guard Auxiliary and the United States Power Squadron. You can locate classes online or by looking for posters at your local marina, checking with the County Sheriff’s Marine Patrol or at a Coast Guard station. Great advice, Randy. And, in addition to learning more about boating safety, a course can actually be an enjoyable classroom and on-the-water experience for the family. 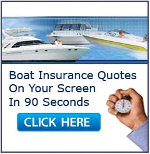 Brian, most insurance companies do give you a discount for completing the Coast Guard Safety Course. It might save you some deductible. Nobody should be allowed to ‘operate’ a boat without a safety course. Clearly, anyone without it is not safe and does not care about safety. I want to take the boating course offered. My wife and I have been boating since 1971. We have cruised to Florida twice from Texas even though we’ve slowed down a bunch you can’t be careful enough. We cruise between 8 and 9 knots. We wait for 2′ or less seas before crossing the panhandle of Fl to Clearwater, Fl People who push it are always the ones grounded. Along with burning up lots of fuel. That’s all you care about? You are heap and irresponsible.